Mr. Whited is a lawyer's lawyer. 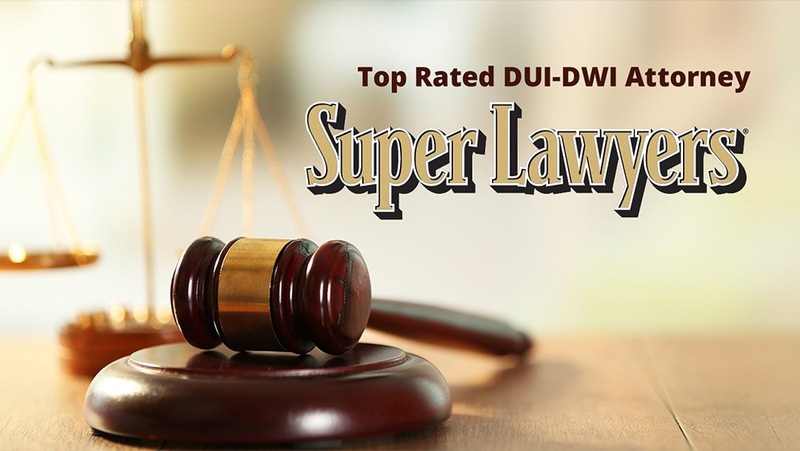 He has defended over 25 lawyers accused of DUI throughout the State of Florida. 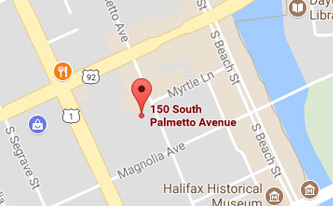 Who do the police hire when accused of DUI? That's right - Whited has defended over 30 police officers charged with DUI in the past thirty-five years. 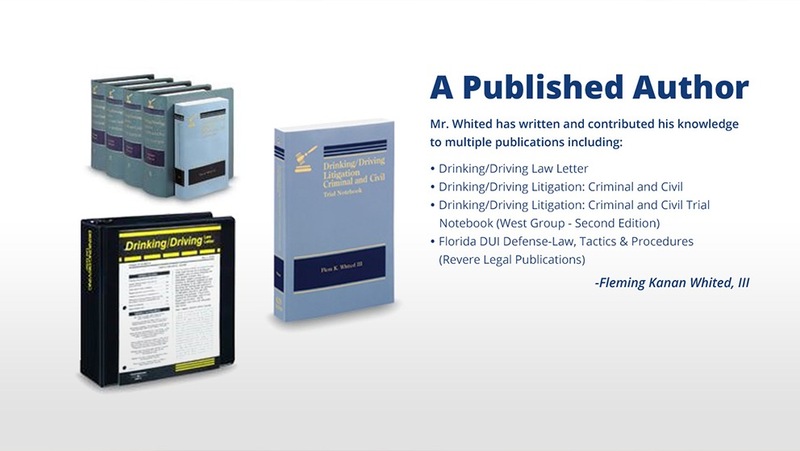 Mr. Whited is the author of Florida DUI Defense - Law, Practice and Procedure. This 600 page book covers all aspects of defending DUI cases in Florida. 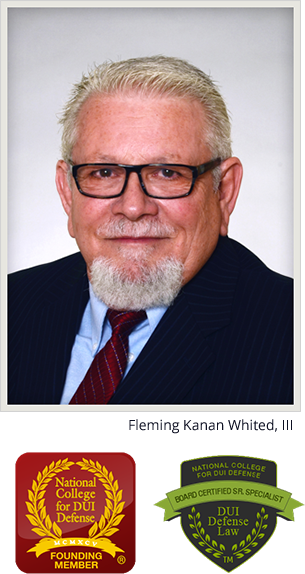 He is also the author of the multi-volume set Drinking Driving Litigation published by Thompson Rueters. This is the most comprehensive coverage of the subject. He also the editor of the Drinking / Driving Law Letter. 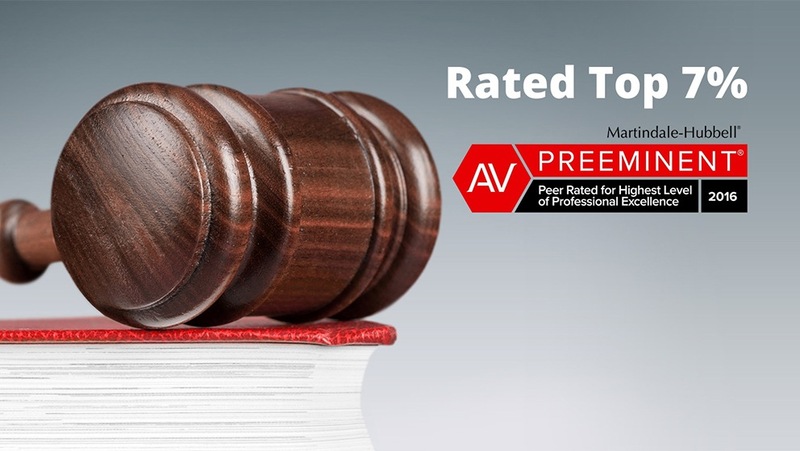 This is a bi-monthly publication of the latest and most significant alcohol related decision in state and federal court system. He also writes the Drinking Driving Litigation - Trial Notebook. This one volume book covers trial preparation and the trial of a DUI case. Now is no time to hire a rookie. Experience counts. 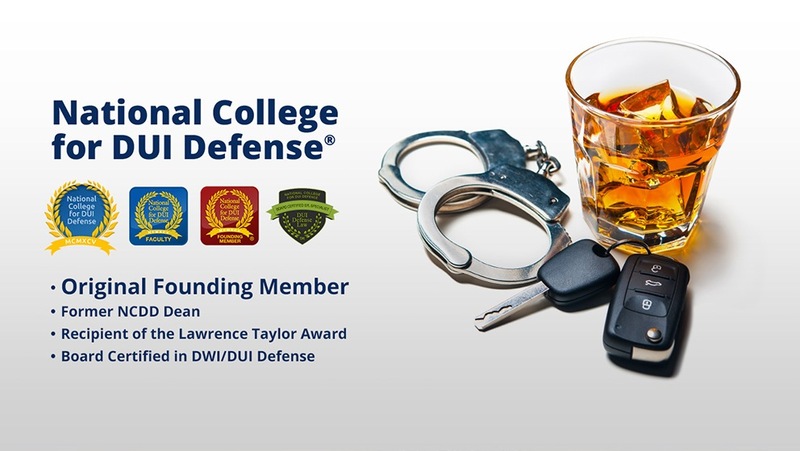 if you can't afford a DUI conviction, have prior DUI convictions, are facing a DUI homicide or serious injury case you need all the help you can get. What should I do if I am stopped for DUI? 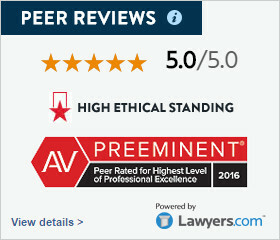 Will hiring an attorney really make a difference?